Remember a while back when we told you that ‘Westworld‘ was picked up by HBO? You can read that story here if you missed it. Anyhow, the HBO drama is working on its pilot and has given us the rest of the cast info. We already know that Oscar winner Welsh-born Sir Anthony Hopkins is already attached to the project with Evan Rachel Wood that has been based off the 1973 sci-fi film written and directed by scribe Michael Crichton. 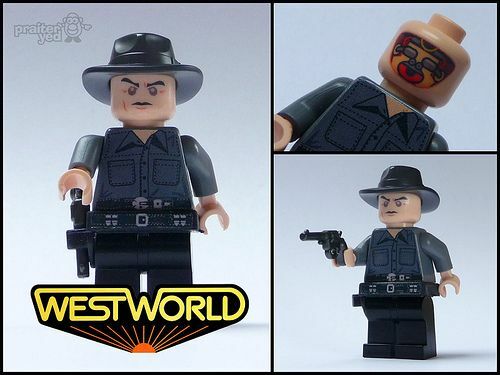 Check out the custom Lego mini-figure of Yul Brynner as the gunslinger from the film. I didn’t even know I wanted a Yul Brynner figure until I saw this. Don’t you just love the internet some days? HBO looks to its ranks to fill one of the positions available in the ensemble cast that once featured the talents of Yul Brynner. How amazing was Crichton’s source film?! I may have to track that one down and check it out. The series will take place in an amusement park and is a dark odyssey about the dawn of artificial consciousness and the future of sin. J.J. Abrams‘ Bad Robot banner combines ‘Person of Interest‘ creator with writer Lisa Joy and producer Jerry Weintraub and Warner Bros. TV. Jeffrey Wright from ‘Boardwalk Empire‘ is slated to appear along with a boat-load of other names from Rodrigo Santoro (‘Dominion‘), Simon Quarterman (‘The Devil Inside‘), Shannon Woodward (‘Raising Hope‘), Ingrid Bolso Berdal (‘Hercules‘) to Angela Sarafyan (‘The Good Guys‘). Wright is slated to play Bernard Lowe, the brilliant visionary at the head of the park’s programming division, whose keen observation of human nature provides him with boundless inspiration for his life’s work: creating artificial people. Santoro will play Harlan Bell, Westworld’s perennial “Most Wanted” bandit; Woodward will play Elsie King, a sardonic rising star in the programming division, who’s charged with diagnosing the odd quirks of behaviors in the park’s hosts. Berdal will play Armistice, a savage fighter and brutal bandit, whose ruthlessness with her victims is surpassed only by her abiding loyalty to her fellow outlaws: Sarafyan will play the beguiling Clementine Pennyfeather, one of Westworld’s most popular attractions; and Quarterman will play Lee Sizemore, the narrative director of Westworld, whose inspired storylines consistently delight or terrify the guests. All these stars are anchored by performances from Hopkins and Woods. 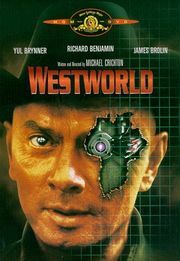 Hopkins is Dr. Robert Ford, chairman of the board of Westworld, basically he’s a our genius that creates and protects his dream at all costs. Wood will play the conventional, kind and heart-stoppingly beautiful and kind Dolores Abernathy. Abernathy is going to learn that her quaint western frontier existence is a convoluted lie. 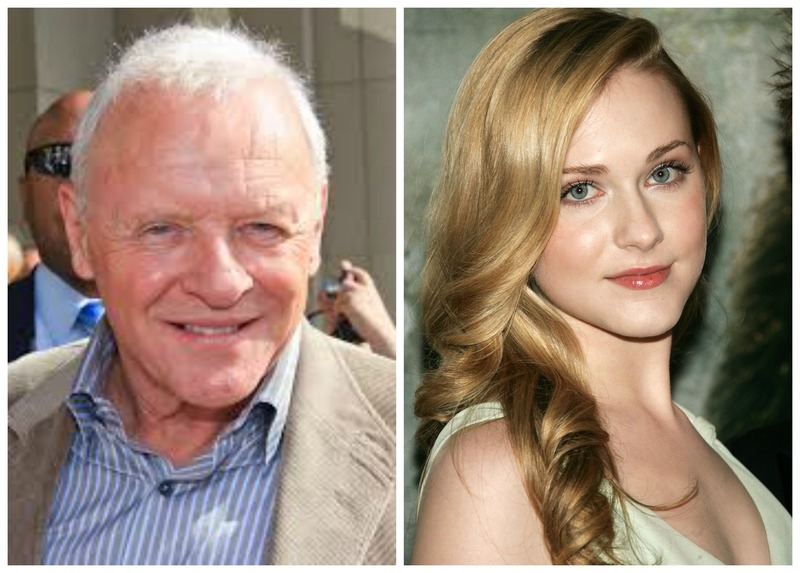 Michael Crichton’s Westworld Re-make Features Anthony Hopkins and Evan Rachel Wood!!! Interested in HBO’s ‘Westworld’ Series? We’ve Got The Trailer!!! This entry was posted on Thursday, August 7th, 2014 at 4:45 pm	and is filed under Film, News, Television. You can follow any responses to this entry through the RSS 2.0 feed. You can skip to the end and leave a response. Pinging is currently not allowed. « ‘Arrested Development’ Scheduling New Season!! !